2 Boxes of Checks only $4.05 Shipped + 12.5% Cash Back!! NOTE: This offer is for new customers only. 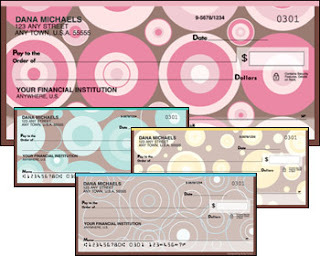 If you need checks (well, even if you don't right now!) you can get an awesome deal on them from 4checks.com! Use code DE0478 to get 2 boxes of checks shipped for only $4.05! You can also upgrade your text for free, a $2.50 value, or add duplicates for $1.00! The checks regularly cost $20.95 before shipping costs so this is an excellent price. But it gets even better! If you purchase these through Ebates, you'll get a whopping 12.5% cash back! Be sure to check the “No” box for the EZShield Check Fraud Protection Program on the Order Review page so you do not get additional charges on your order. Your total will be $4.05 (or more, depending on upgrades), or $3.56 after Ebates cash back! Ebates gives cash back on 1000s of online stores and sends out checks (or pays you via PayPal!) 4 times a year. Also, new members will receive a $10 gift card of choice when they spend just $25 within 90 days of registering! Click here to visit Ebates and start saving!